•1947 the UN suggests a partition. •The Arab League had rumours of attacking the Jews once the Brits left. Question: Was there any other solutions that the UN came up with other than a partition? Summary: Due to the holocaust, jews left Europe to go to Israel. The Arab league was formed to protest the Balfour Declaration. 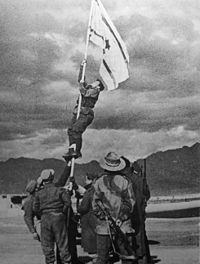 The jews began a Zionist movement to get their homeland. The Brits handed the problem over to the UN in 1947- the resolution was a partition. The Jews had their own country (Israel) but the Arabs are angry because Israel split up many Arab regions. 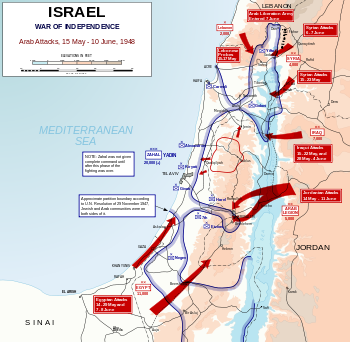 The Jews won and forced Arabs to retreat, and Israel increased its territory. 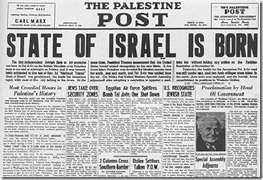 Which resulted in both Jews and Palestinians beginning major conflict which continues for almost 50 years after.